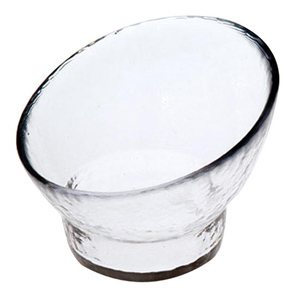 Clear glass bowl designed for hand treatments. Can hold or display a variety of products or amenities. Great for mixing products or soaking hands during manicures.